Customer loyalty greatly relies on how effective your order management system is. Responding quickly to your customers is a given, but what else can you deliver? An effective and streamlined OMS plays a pivotal role in your sales and delivery operation and gives you the upper-hand in customer service. Discovering the ins and outs of how your solution can truly benefit you is the next step to success. The back-end order fulfillment processes are often seen as an afterthought when building a functional website. You want to be sure to focus on the ‘inside’ too when managing your orders. After all, customer expectations are dramatically increasing, and will only need to get stronger as time goes on. Processing orders can be overwhelming for all businesses, and even more so as growth comes. A comprehensive order management solution is more than convenient for a few reasons. When all features and functionality are utilized, it can improve your business processes and help increase your online sales. the competition in the OMS eBook below. Watch out retailers. Both women and men’s apparel sales are on the rise, according to Mintel, Lightspeed GMI and Quartz. With an estimated increase of 14.5% between 2014 and 2019, women’s apparel profits are expected to rise from $121.8 billion to $139.0 billion. But Are Men Shopping More than Women? Women love to shop. There isn’t a soul who doesn’t know that, but women are not the only ones hooked on fashion. Men’s online apparel sales are growing faster than not only women’s apparel, but beer and electronics too. Yes, you read that right. Men are purchasing clothes and accessories more than computers, cameras and beer. Some apparel retailers are starting to diversify inventory, in order to sell more online and accommodate the demand for men’s apparel. This gives fresh ways for men to purchase apparel items at their fingertips. To keep up with these eCommerce trends, it would be beneficial for apparel retailers to follow suit and embrace the growing numbers of male fashion consumers. So how does a multichannel retailer keep up with trends and technology? I know what you may be thinking. 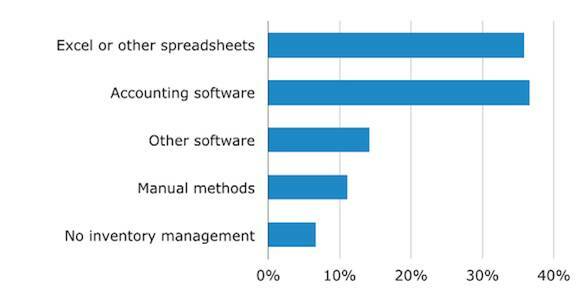 Who has time to look into new technology advancements, while running a business? One thing you can do is follow the lead of the larger apparel retailers – those that are dressing up their back office processes to achieve their business goals faster and more efficiently. If you’re a multichannel apparel retailer, you have specific demands for keeping track of orders from multiple sales channels, from the moment a customer purchases your product to order fulfillment and more. 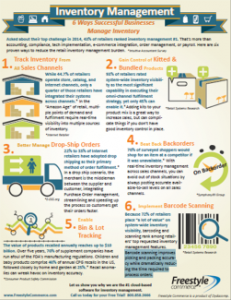 Managing inventory across those channels and supporting shipping methods with some added TLC will only help your business thrive in the long-run. Support Configurable Products with Size, Color, etc. What Else Should an Apparel Retailer Take Into Consideration? Picture this: The orders are really starting to flood in, but your payment methods are not exactly up to par. Mayday, because this is where many errors can arise. Don’t let that happen in the order processing or fulfillment stages. Being able to process multiple and mixed payment methods, like PayPal, credit and store cards, gift certificates and more is a must. But, having the ability to automatically queue orders for processing based on your stock levels is a luxury many retailers could benefit from. Managing the inventory purchasing process can be quick and simple. You want to be sure you can track all orders by stage, from picking and packing to delivery as well, all while keeping your customers up-to-date every step of the way. It’s no longer a ‘nice to have.’ It’s vital to always know what’s in stock to better serve your customers. Today’s connected shopping environment enables even the smallest apparel and specialty retailers to reach vast audiences for their products while meeting demand, but you’ll need the proper tools to do so. So, what’s the technology that can help you make it all come together? 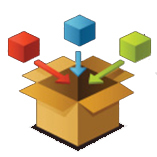 A cloud based, multichannel order and inventory management system (OMS). With an OMS, inventory and order processing has never been so simple. 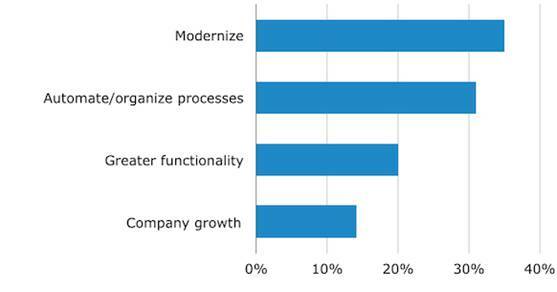 Find out why implementing one is a crucial requirement to supporting your growing SMB. Check out some emerging trends in the retail industry, how you as an apparel or specialty retailer can benefit from an OMS and the processes you can expect in the eBook below. With consumers spending more and more online each year, you want to learn the best ways to get your website up to speed, recover from the high-volume shopping days like Black Friday and Cyber Monday and most of all, keep your customers content and coming back. Having a successful email marketing strategy can really help during the holiday retail season. Feel free to get creative with promotional emails that highlight specific deals for certain holidays. Most importantly, gather as many emails as possible so you can promote more when the busy time hits. Start planning ahead by finding a way to bring customers back. Avoid shopping cart abandonment by looking into adding extra features to your business model, like Bigcommerce’s cart closer app. You can learn to keep up with the competition this holiday retail season if you take some time to implement the proper planning and tools necessary. You’ll be glad you did in the end. Offering crazy deals during the holiday retail season is a given, but if you can’t afford to run deep promotions, don’t feel pressured to. Always do what makes sense for your budget and customers. Even though it may be tempting to run a high discount, planning ahead for targeted promotions is your best option. You can always try to offer free shipping, or even incorporate eCommerce kits and bundles for a chance to stand out from the competition and offer discount pricing at the same time. Mobile traffic made up 45% of all online circulation during last year’s holiday season, which was a 25.5% increase from the previous year. Mobile sales increased 27.2% and made up 22.6% of all online sales as well. Keeping these numbers in mind, if your site is not fully optimized and mobile-friendly, now is the time to do so. With the increase in mobile sales comes highlighting the critical days during the holiday retail reason. Compared to last year, online orders from small and medium sized businesses increased by 24% between Thanksgiving and Cyber Monday, according to a Bigcommerce report. With online sales continuing to rise and mobile purchasing becoming more common, numbers are expected to grow for the upcoming holiday retail season. Is your website ready for the traffic spikes the holidays can bring? Businesses are easily targeted during this time of the year, so it is better to be safe than sorry. Testing load time for API’s, site security and more is always beneficial to avoid running into any issues. Fulfillment and managing the purchasing process around the holidays are often overlooked, leaving room for error, and keeping your customers waiting. Shipping woes tend to come up during popular shopping days, such as Black Friday and Cyber Monday. Issues with shipping have been known to arise no matter what distributor you are using, such as UPS or FedEx. UPS attempted to avoid the holiday shipping delays, and by doing so, contributed to a $175 million rise in operating expenses last year. If you have your own drop shipping business, make sure you are keeping up-to-date on back orders and any other deterrents that are extremely common during the holiday rush. Always revise your shipping methods for updated protocol and the most budget-friendly approaches. Do you process and send out orders through multiple sales channels? With the holiday craze, managing multichannel sales can be difficult, as keeping track of certain products can get complex. But, it doesn’t have to be with a streamlined order flow. Implementing an inventory software can help avoid running into any problems when the holiday flood gates open. Unnecessary errors in your order process can be easily avoided with a simple solution to inventory management for retailers. With very little effort, you can be on your way to centralizing your sales channels, allowing for more accurate calculations, and giving you one less thing to worry about for the holiday retail season. Check out the free eBook below to find out what you may be missing. In working with thousands of small to medium-sized online retailers, time and again experience shows us that the customer experience doesn’t end at checkout. Efficient and effective back office inventory operations are crucial elements to any online retailer’s successful operation. 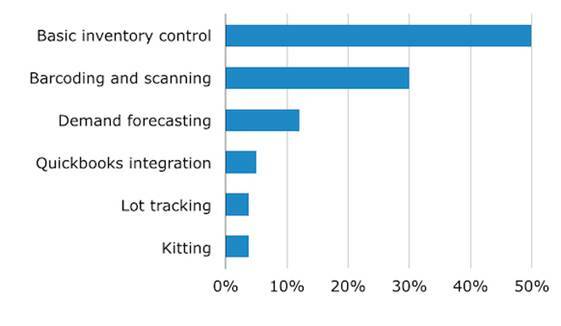 Here are six proven ways to reduce the retail inventory management burden. In the “Amazon Age” of retail, multiple points of demand and fulfillment require real-time visibility into multiple sources of inventory. Adding kits to your product mix is a great way to increase sales, but can complicate things if you don’t have good inventory control in place. In a drop ship scenario, the merchant is the middleman between the supplier and customer, integrating Purchase Order management, streamlining and speeding up the process so customers get their orders faster. With real-time inventory management across sales channels, you can avoid out of stock situations by always posting accurate available-to-sell levels on all sales channels. Recall anomalies can wreak havoc on inventory accuracy. Barcode scanning improves picking and packing accuracy while dramatically reducing the time required to process orders. Click here to view the full Infographic entitled 6 Ways Successful Businesses Manage Inventory.